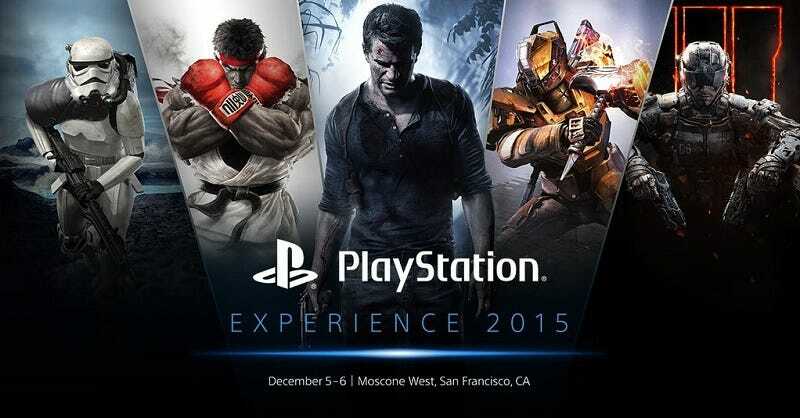 Today in San Francisco is the second annual PlayStation Experience, an event dedicated to all things PS4. Maybe, if we’re lucky, they’ll even mention the Vita. Kicking off at 1pm ET is the keynote, which you can watch live RIGHT HERE. We’re expecting some new trailers and maybe even some cool new game announcements from both first- and third-party studios. Maybe even some JRPGs? Hey, a man can dream. Watch right here, or just keep F5ing Kotaku for all the news as it happens. UPDATE (3pm): And we’re done! Highlights of the show included footage from the Final Fantasy VII remake and Ni no Kuni II!